DURHAM, N.C. - The Toledo Mud Hens' first postseason series since 2007 came to an end as the Durham Bulls held on to take Game 4 of the Governors' Cup Semifinals by a 3-2 margin on Saturday at Durham Bulls Athletic Park. Trailing 3-2 entering the top of the ninth inning, the Mud Hens had the potential tying and go-ahead runs on base, as Jacob Robson drew a one-out walk before Chad Huffman was hit by a pitch to put men on first and second with two down. Once again, the Bulls eked out a narrow victory as Jason Krizan lifted a fly ball into center that was caught by Austin Meadows to send Durham into the Governors' Cup Final, where they await the winner of the series between Lehigh Valley and Scranton/Wilkes-Barre. The bottom of the order did the bulk of the damage on the night, with Pete Kozma and Daz Cameron each going 2-for-4 with a double, a single and a run scored. Harold Castro finished 2-for-4 with a double and an RBI single, while Huffman went 1-for-2 with an RBI single and a walk. Matt Hall was given the start and struck out five in 5.1 innings of work, but was saddled with the loss after allowing three runs - two earned - on six hits and a walk. Johnny Barbato tossed 1.2 scoreless innings in relief before Hunter Cervenka sent down all three batters he faced. The Mud Hens threatened to start the scoring in the top of the third inning. Kozma pulled a leadoff double down the left-field line, advancing to third on Robson's sacrifice bunt. However, Kozma was stranded 90 feet from home, as Christin Stewart popped out into shallow left and Chad Huffman grounded out to third to retire the side. Durham broke the deadlock with a run its half of the same inning. Rob Refsnyder and Jake Cronenworth opened the bottom of the frame with back-to-back singles to put runners on first and second with nobody out. Hall sent down the next two batters he faced, but Jason Coats lined a base hit into center to drive in Refsnyder and give the Bulls a 1-0 advantage. Toledo quickly bounced back to restore parity in the top of the fourth. Cameron smashed a two-out double into deep left, and scored when Harold Castro singled into left to knot the score at one apiece. Neither side could tack on another run until the Bulls tallied a pair to recapture the lead in the last of the sixth. Coats reached on a throwing error by third baseman Harold Castro, and Meadows singled into right to put runners on the corners with nobody out. After McCarthy walked to load the bases, Brandon Snyder lined a base hit into left score Coats and stake the hosts to a 2-1 edge. Nathaniel Lowe then sent a sacrifice fly into center to drive in Meadows and make it a 3-1 contest. The Mud Hens continued to battle, adding another run in the top of the seventh. Kozma led off the inning with a single into center, moving into scoring position two batters later when Stewart was plunked. Huffman then ripped a base hit into left to drive in Kozma and trim the deficit to 3-2. The Mud Hens will open the 2019 season at Fifth Third Field on Thursday, April 4 against the Louisville Bats. It will mark the 18th season of Mud Hens baseball within the friendly confines of Fifth Third Field. 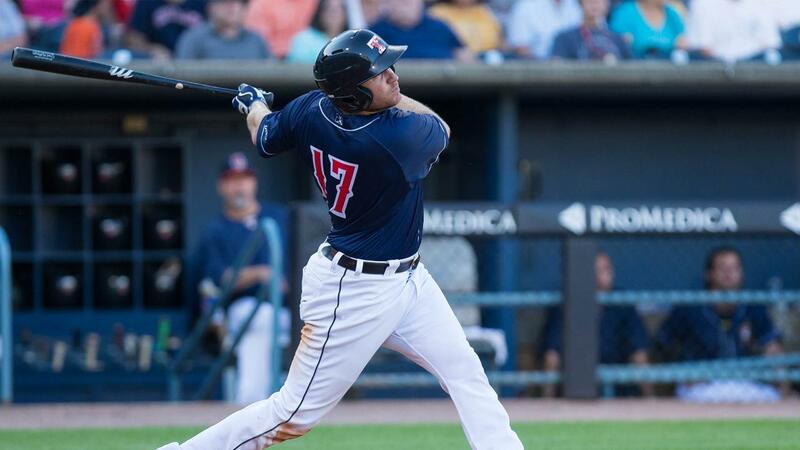 • The Mud Hens recorded 22 sellouts this season for a grand total of 485 in the 17-year history of Fifth Third Field. • Daz Cameron has been selected to compete in the Arizona Fall League as a member of the Mesa Solar Sox. • Toledo and Durham have met three times in the Governors' Cup Semifinals, with the Bulls advancing to the championship round in 2002, 2007 and 2018. • Prior to the 2018 season, the Detroit Tigers extended their player development contract with the Mud Hens for two seasons, meaning Detroit's prospects will continue to play in the 419 through at least the 2020 campaign.